Thank you for visiting another one of Payne Pre-Owned Harlingen's online listings! 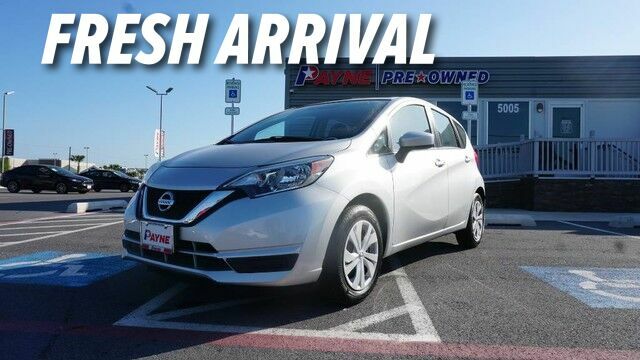 Please continue for more information on this 2017 Nissan Versa Note SV with 34,425mi. This vehicle is loaded with great features, plus it comes with the CARFAX BuyBack Guarantee. The Nissan Versa Note SV is economically and environmentally smart. Nissan clearly delivers on its promise to provide a fuel-efficient vehicle that has the great qualities you need in a vehicle. One of the best things about this Nissan Versa Note is that it has low, low mileage. It's ready for you to truly break it in. A truly breathtaking example of pure vehicle design achievement...this is the vehicle of your dreams!